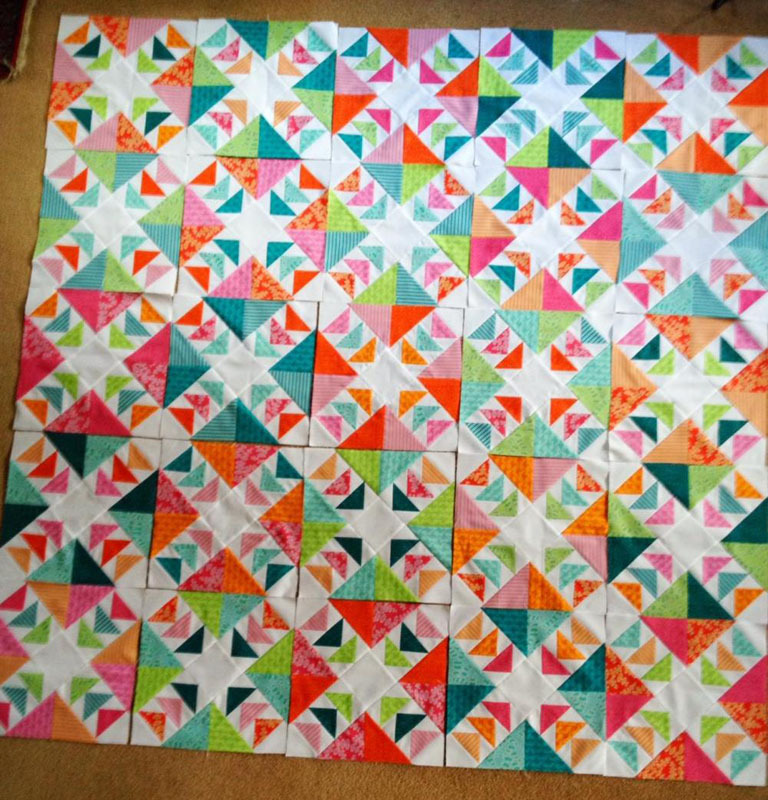 Just before Christmas I started making a quilt out of the brighter colours from Terra Australis. 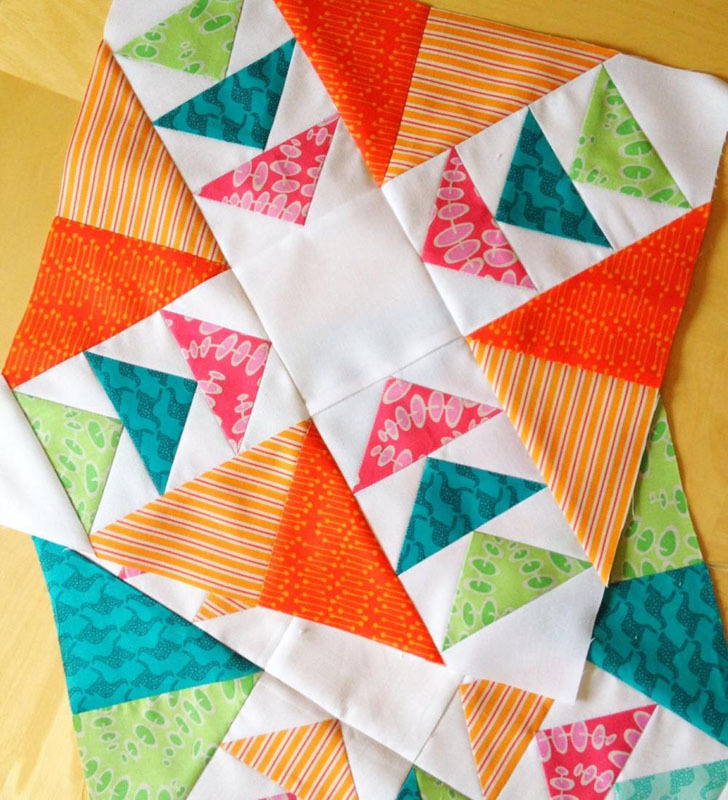 I wanted to design a new quilting using the flying geese block. I love triangles at the moment! 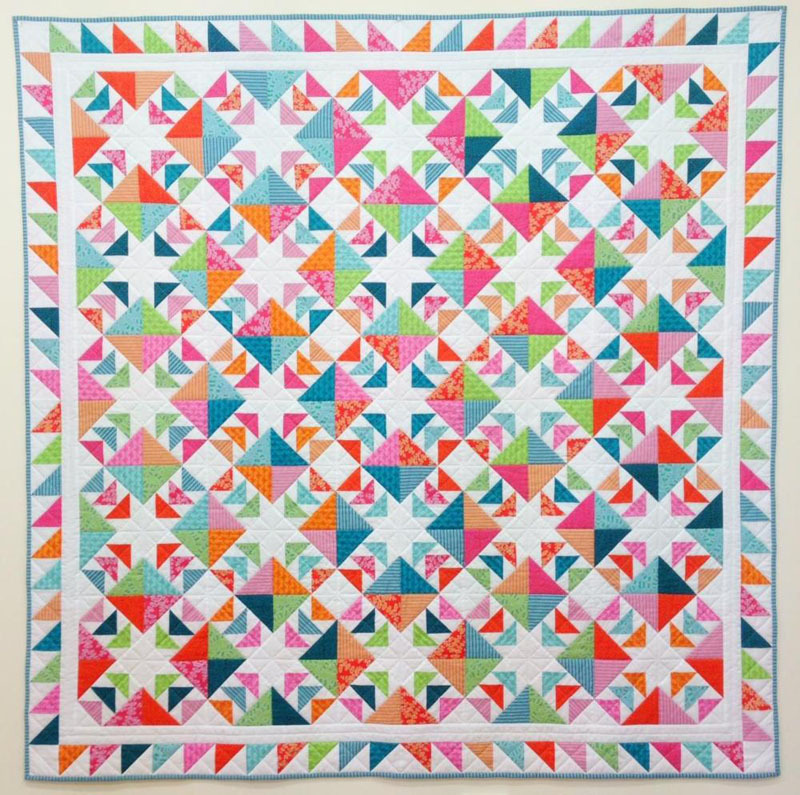 I had fun putting the colours together on this quilt. 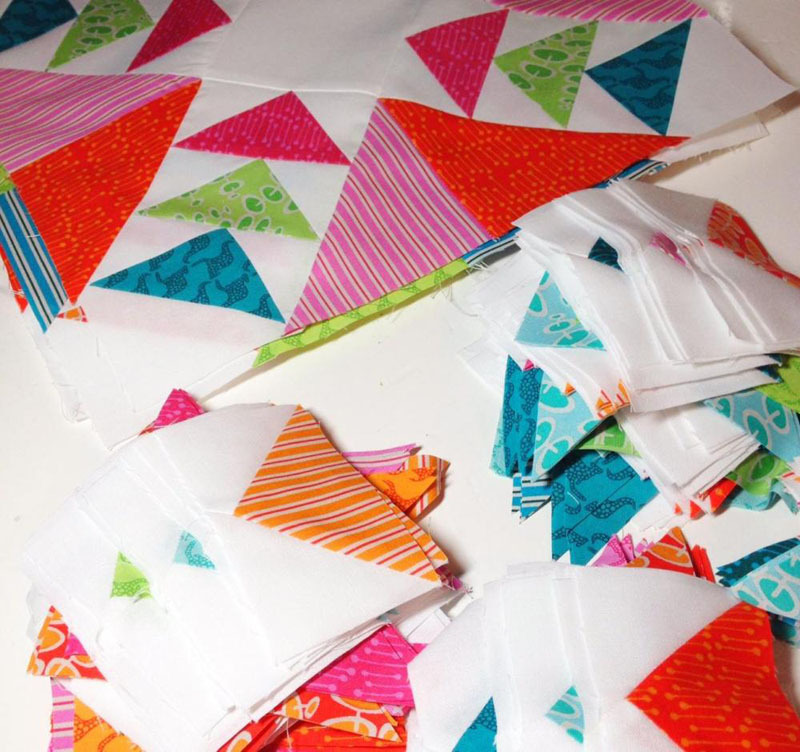 After I finished the blocks I decided that the quilt needed a border of more triangles!! I quilted this quilt quite simply, just stitching with my walking foot in the ditch. I also pieced the back using strips of 4 different kangaroo print colours. 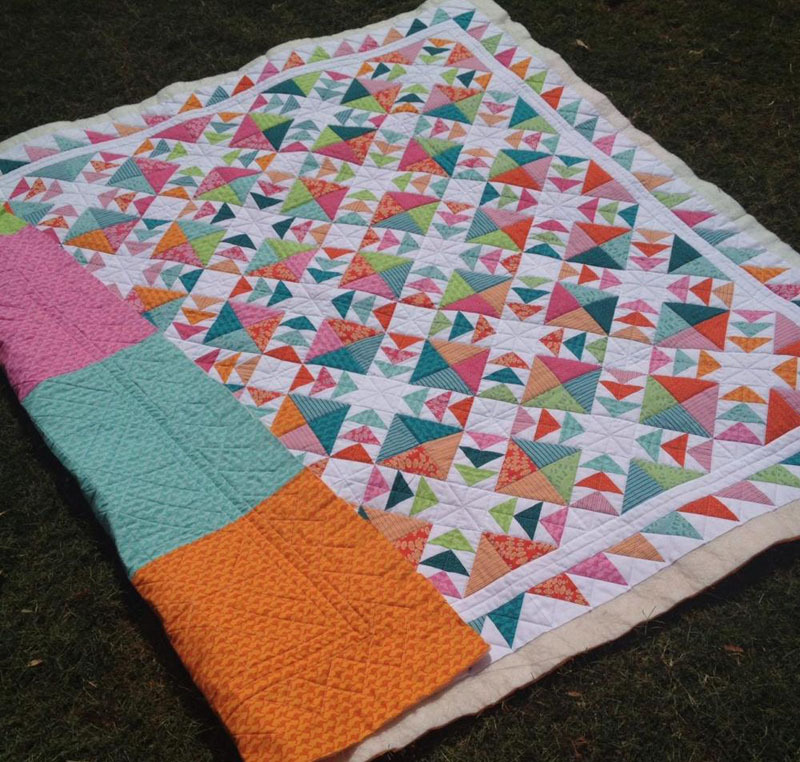 This quilt is now availble as a pattern from my online store. 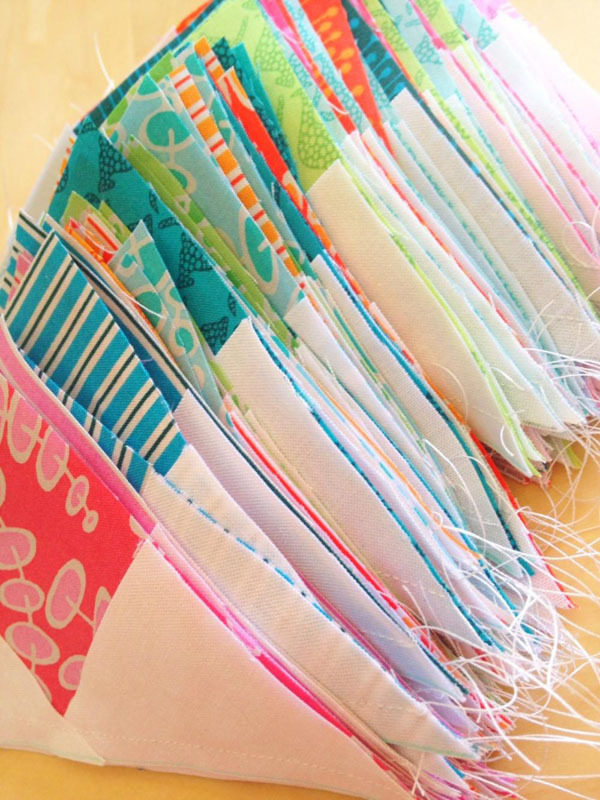 I think this quilt would also look great in scraps and would be a great stash buster!! Helen F: Emma it is gorgeous!!! 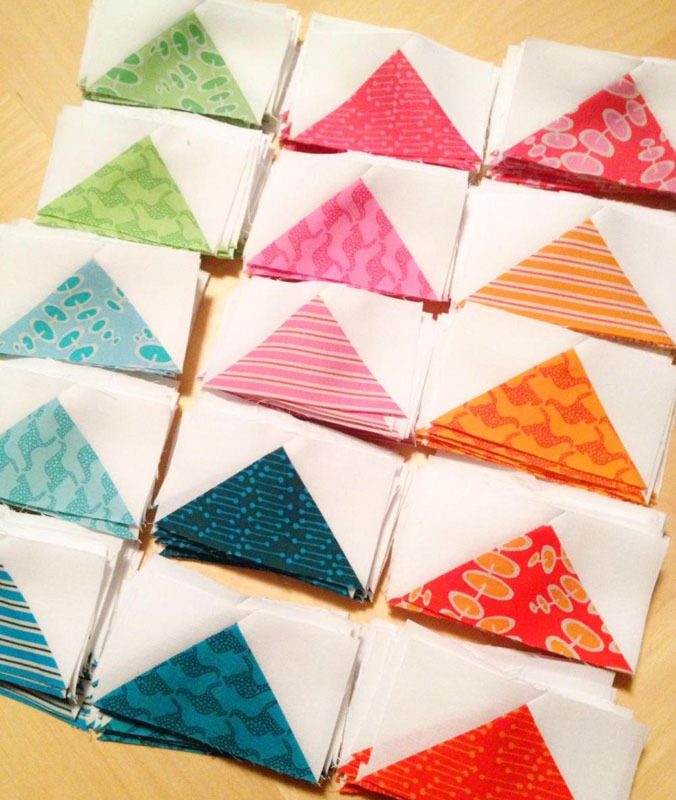 We luuv your new fabric range!! 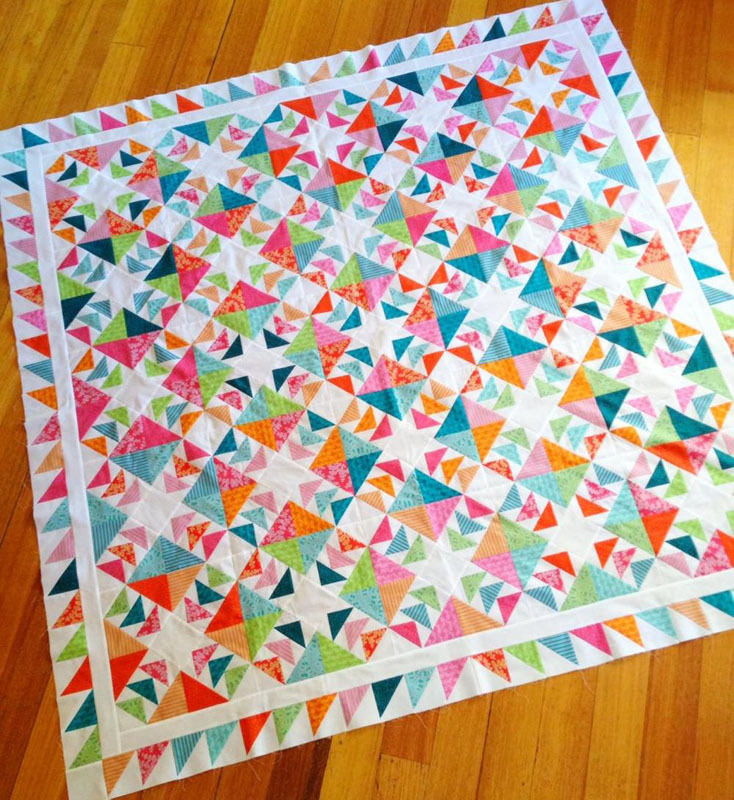 Meredithe from Pomegranate and Chintz has just finished a quilt in your fabrics on her blog at the moment.